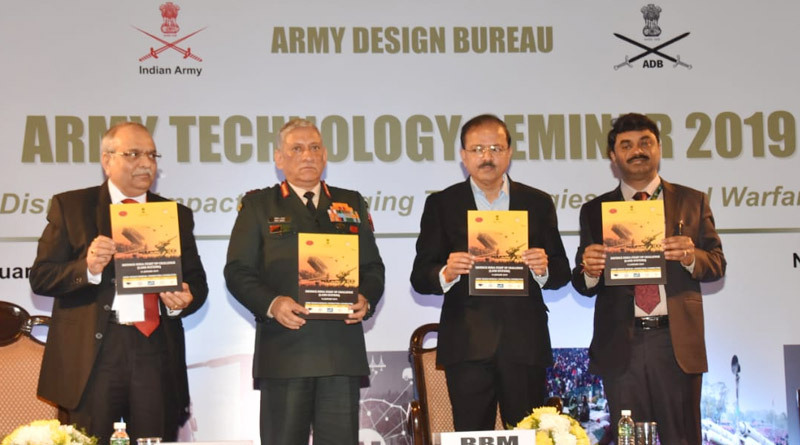 To modernise itself via the optimum use of emerging technologies, the Indian Army organised Army Technology Seminar-2019 (ARTECH 2019) on the theme “Disruptive Impact of Emerging Technologies on Land Warfare” at Manekshaw Centre, Delhi on January 11. The seminar was aimed to bring together stakeholders in the military, academia and industry to provide perspective on the available and emerging technologies which could have an impact on warfighting in the near future. The event was attended by Union Minister of State for Defence Subhash Bhamre, Chief of the Army Staff Gen Bipin Rawat, Secretary Department of Defence Production Ajay Kumar and other dignitaries from Ministry of Defence, army, academia and civil defence industry. Addressing the dignitaries, the Chief of the Army Staff said that technological disruptions are rapidly changing the character of warfighting and future conflicts will be fought across domains wherein networks and integration would be the key to generate military power. An exhibition showcasing military innovations developed by the field Army, DRDO, Academia and industry was also organised during the seminar.